As someone who enjoys reading and is always on the quest for the next good book, I can appreciate a few solid recommendations — which is why I wanted to share some of my all-time favorites. These books, for me, go beyond mere entertainment. They’ve made a lasting impression on my brain, and have important themes and lessons I think back on when I need them. If I had to recommend what books a person should read to better understand/cope with/live and enjoy life, these would be the ones. 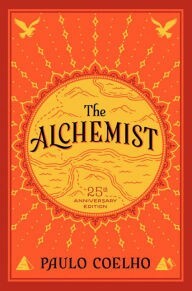 This is a simple story, told in simple language, with an impactful message on finding your life’s true purpose. I realize that sounds kind of “woo-woo” and touchy-feely, but the way the story is written, it doesn’t read that way. I consider it a “story” in its most classic form —the narrative is timeless and will likely be read by many people even years from now. I wish I would’ve read it when I was just graduating college, as it shares some good advice for navigating that scary “What am I going to do with my life?” period. 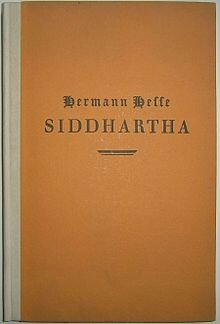 Siddhartha’s main message pivots on finding inner peace — and in our modern, chaotic world, I don’t think many people truly know how to find their own. This is another simple, timeless story that allows you to take a step back from daily life and really look at the big picture — all while understanding how to handle change, challenge, and opposition with grace. It reads quickly but leaves you thinking about it for days after you finish. 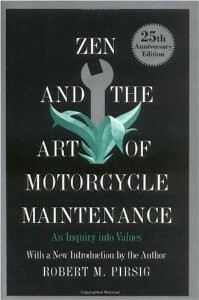 The way this book draws comparisons between motorcycle maintenance and philosophy makes the subject matter much less “heady” and “meta” than this topic typically feels. I don’t own or drive a motorcycle, but I found it relatable and thought-provoking, and the descriptions of scenery are rather enjoyable, too. It is a bit long, but if you give yourself time to really read this novel slowly and to digest the themes and rhetorical questions asked here, it can be mind-expanding in the best possible way. Joan Didion lost both her daughter and her husband over the span of two years, and these books are her raw grapplings with those losses. Death is something we all have to confront at some point in our lives, and it’s never particularly easy. 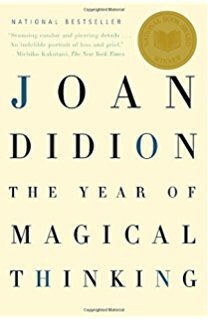 Didion tells these stories in heartbreaking (literally, I wept multiple times) but spell-binding narrative that make the reality of loss and living on this planet without the people you love a little bit more bearable. If nothing else, it’s a reminder that although loss is a painful experience, you’re not alone — and that grieving is an inescapable part of life. 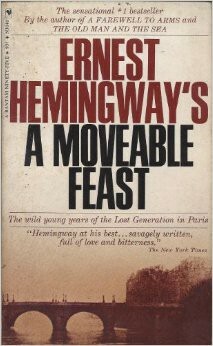 No single book has ignited my wanderlust like this one. From the smells of the cafe breakfast and coffee to the sights and sounds of Europe, I ate up every single word of this story. Reading this book is like diving head-first into a vacation, and its a good reminder to step outside the American bubble and to explore the world — because there’s a lot to see. This short story is featured within Bradbury’s The Illustrated Man — and I read it as an allegory, because it’s about trudging through the endless rain. Depression also comes in spells (just like rain) and even when the rain stops and life returns to warm, happy feelings — you have a sense of dread that the rain will eventually return. I saw the “sun dome” in this story is a symbol for hope and safety, and knowing there’s always hope ahead is an essential reminder when you’re in the middle of a difficult struggle. Sometimes I still find myself mulling over the phrase “Make it to the sun dome” when I’m having a particularly rough day. There’s so much I could say about this one. It covers friendship, love, taking risks, finding your way, loss — so many emotions that are core to the human experience — and in such beautiful, sincere words. This book made me fall in love with reading in a whole new way in that it kind of fused to my soul when I finished. 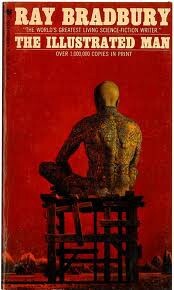 All this and it gives a peek inside a lifestyle, time period, and existence I’ll never know first-hand. 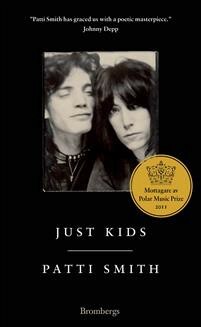 Fascinating, honest, insightful — Patti Smith is an incredible writer. Quite possibly my favorite of all time. What books would you put on a list like this one? Like I said, I’m always looking for a good book to read — so tell me what you’ve discovered that’s made a major, lasting impression on you.